Below you can view all the homes for sale in the Virginia Highland subdivision located in Atlanta Georgia. Listings in Virginia Highland are updated daily from data we receive from the Atlanta multiple listing service. To learn more about any of these homes or to receive custom notifications when a new property is listed for sale in Virginia Highland, give us a call at 404-998-4063. 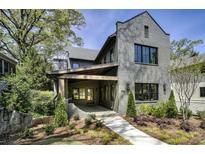 Truly Perfect Location, Just Steps From Shops, Restaurants, Piedmont Park And The Beltline. MLS#6537547. Ansley Atlanta Real Estate, Llc. This Is All That And More. MLS#6537396. Atlanta Communities. This Home Is Exceptional. A Must Show! MLS#6536269. Compass. No Detail Untouched! ~ Ready September 2019 ~ MLS#6534972. Keller Williams Rlty, First Atlanta. Fenced Backyard Is Pet-Friendly & Includes A Partially Covered Party-Deck, Stone Patio & Level Grassy Park-Like Yard! MLS#6535964. Atlanta Fine Homes Sothebys International. Truly An Oasis Of Privacy In This Dynamic, Bustling Neighborhood. MLS#6536131. Compass. Featuring The Best Of A Classic Craftsman Bungalow With Modern Updates: Control4 Smart Home Automation; Generator; 4 Fireplaces; Original Hardwood Floors; Power Window Shades & Awnings; Chef Designed Kitchen With Wolf Range, Sub-Zero Refrigerator & Freezer, Double Ovens & Island Open To The Fr; Gorgeous Master Retreat Has Fireplace, Entertainment Area, Gym, Office, Dual Walk-In Closets, Spa-Like Bath With Double Vanities & Soaking Tub; Large Guest Suite Has Fireplace And Marble Bath; Main Level Guest Suite Has Private Patio; Rare 3 Car Garage & Gated Driveway. MLS#6534959. Berkshire Hathaway Homeservices Georgia Properties. Home Is Situated On A Private Site With In Ground Sprinkler System & Covered Parking. MLS#6534105. Keller Williams Realty Cityside. New Hvac And Tankless Water Heater. MLS#6534120. Atlanta Fine Homes Sothebys International. Other Features Include: Pre-Wired For Electric Car Charging, Chefs Kitchen, Granite Countertops, Premium Stainless Steel Appliances, Hardwood Floors, Updated Baths, Main Floor Laundry, Large Rear Deck Perfect For Entertaining, Oversized Master Suite With His/Her Large Walk-In Closet And Double Vanity. MLS#6534014. Compass. The Home Sit'S Up On A Hill Providing Incredible Privacy Yet Still Has A Walk-Out Heated Saltwater Pool In The Back. You Can Have It All! MLS#6531169. Compass. Finished Basement Included In Purchase Price. MLS#6530384. Keller Williams Realty Atl North. Shops, Dining & Beltline Just Moments Away! MLS#6530787. Atlanta Fine Homes Sothebys International. 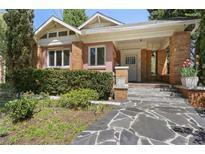 Just Blocks To Piedmont Park, Restaurants, Shops And More! MLS#6530235. Keller Williams Realty Intown Atl. The Home Sits Up Off The Road With A Flat Landscaped Back Yard Enjoyed From The Screen Porch And Wrought Iron Electronic Gate. MLS#6528220. Harry Norman Realtors. Impressive Backyard W/Heated Saltwater Pool, Hot Tub & Cabana W/Full Kitchen & Fireplace. MLS#6526311. Keller Williams Realty Intown Atl. Updated Kitchen With Built-Ins In Dining Room. MLS#6523851. Keller Williams Rlty-Ptree Rd. Home @ 777 Brookridge Dr Also Available. MLS#6522901. Keller Williams Realty Intown Atl. Home @ 773 Brookridge Dr Also Available. MLS#6523148. Keller Williams Realty Intown Atl. 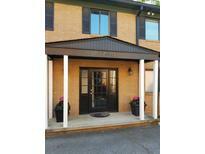 Short Walk To Restaurants, Shopping, Atlanta/Virginia Highlands! Plenty Off Street Parking! MLS#6523117. Keller Williams Rlty Consultants. The Barnett Has Gorgeous Landscaping Year Round Along W/An Amazing Community & Homeowners Association! MLS#6522939. Keller Williams Realty Intown Atl. Come And Visit This Gorgeous Home And You Will Not Look Further. MLS#6522412. Palmerhouse Properties. Close To Vahi Village, Piedmont Park & Beltline! MLS#6522177. Ansley Atlanta Real Estate, Llc. Shops And Restaurants Are Steps Away! Welcome Home! MLS#8543477. Keller Williams Realty. Shops And Restaurants Are Steps Away! Welcome Home! MLS#6519473. Keller Williams Realty Metro Atl.